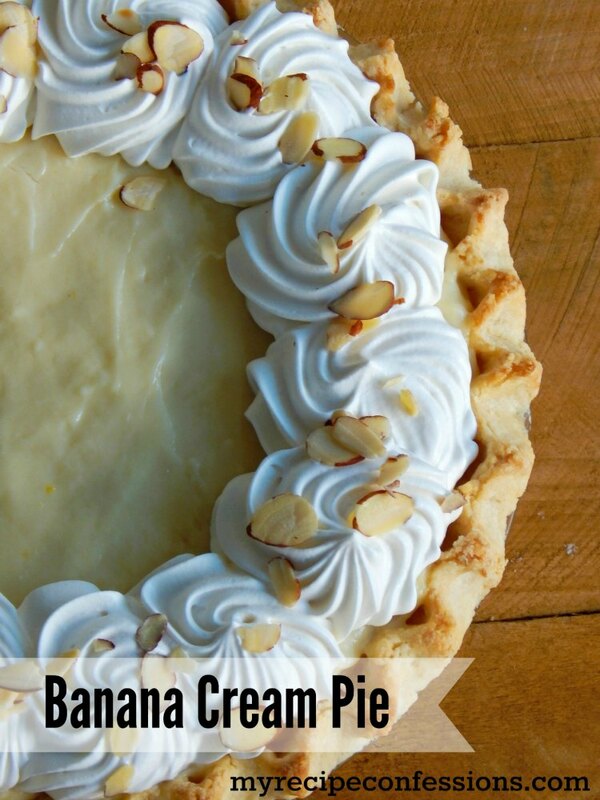 Banana Cream Pie is one of my favorite pies! Thanksgiving is not Thanksgiving without pie! This recipe makes a silky smooth vanilla custard that goes perfectly with the banana layers. Then pared with the flaky pie crust and the homemade whipped cream, you have a recipe for true happiness! Just trust me on this one. This Banana Cream Pie is nothing short a heaven on earth! 1. In a large saucepan, scald the milk.In a small bowl combine the sugar, flour, and salt. Then gradually stir the sugar and flour into the milk. 2. Over medium heat stir the milk mixture constantly until thickened. Once thickened, cover and cook for an additional two minutes, stirring occasionally. 3. In a small bowl, slightly whisk the 3 egg yolks. Whisk in 2 tbsp of the hot milk mixture into the egg yolks until throughly combined. Whisk the yolk mixture into the saucepan of hot milk mixture. Cook for an additional minute, stirring constantly. 4. Remove from heat and mix in the butter and vanilla extract. Cover and let sit until lukewarm. 5. Place half of the sliced bananas into the baked pie crust. Spread half of the custard over the bananas. Repeat with the remaining bananas and custard, ending with the custard. 6.Place a strip of plastic wrap directly over the custard and place in the refrigerator for 1 to 2 hours until completely cooled and set up. 7. 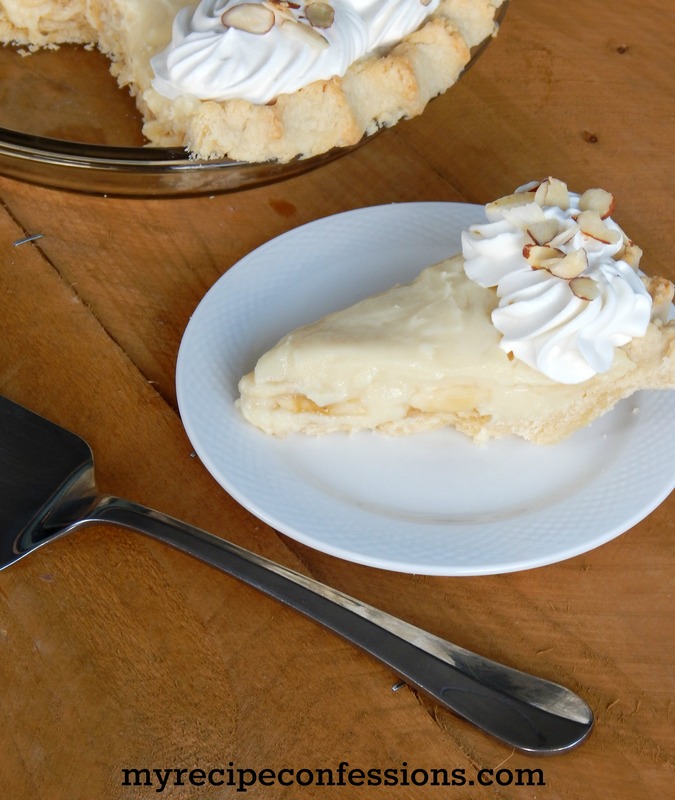 Spread the prepared whipped cream (recipe below) over the pie and sprinkle the almonds the over the top. Refrigerate the pie until ready to serve. Pour the heavy cream into a medium sized bowl. Add 1/4 c. granulated sugar and 1 tsp. vanilla extract to cream. With electric mixer whip the cream up till it forms stiff peaks. Refrigerate until ready to use.